1. General. These Terms and Conditions (“Terms”) constitute the entire understanding and agreement between the Customer and Adore Bridal relating to the purchase of the items set forth on the invoice (the “Items”) and supersedes and replaces any and all prior agreements, whether written or oral, that may exist between them with respect thereto. These Terms may be amended only in a writing signed by both the Customer and Adore Bridal. 2. No Refunds. ALL SALES ARE FINAL. Except as provided in Section 3, no refunds, exchanges, returns or cancellations are permitted once an order is placed with Adore Bridal by Customer. 3. Pick Up; Acceptance. Adore Bridal will order Items from the manufacturer or its distributor only upon receiving full payment from Customer for the Items. The Items will be delivered to the store, in most cases, within nine months. 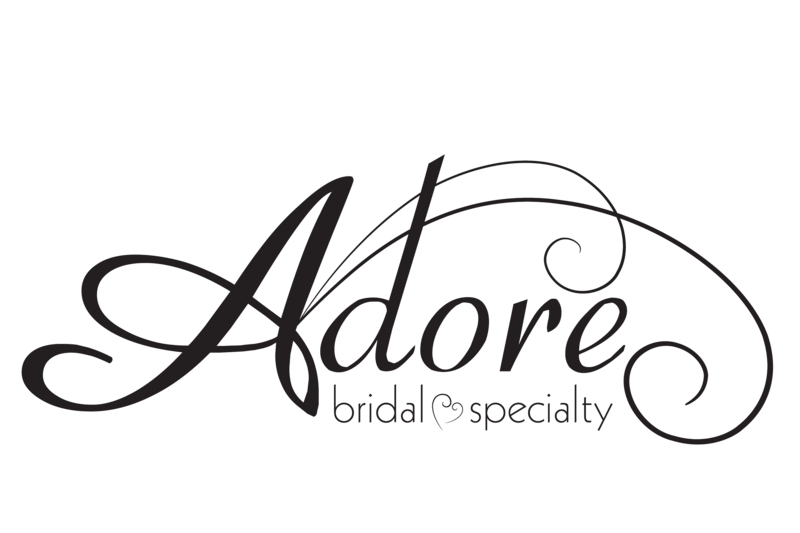 Adore Bridal will notify Customer when Item(s) are ready for pick up by the Customer at Adore Bridal (hereafter, the “Notice to Pick Up”). Within seven calendar days of the date of the Notice to Pick Up, Customer has the right to inspect all Items for defects in material or workmanship, notify Adore Bridal in writing of any such defects, and return those defective Items. In the event Customer elects to return the defective Items, Adore Bridal and/or the manufacturer shall have sole discretion as to whether to replace, repair, or provide the Customer with a credit for any Items determined to be defective. Customer’s right to return any defective Items is Customer’s sole and exclusive remedy hereunder, and Customer expressly waives any remedy available to it under Section 2, Part 7 of the Uniform Commercial Code. Customer shall have no right to return or exchange Items beyond seven days from the date of the Notice to Pick Up and no right to return or exchange nondefective Items. Acceptance of the Items shall automatically be deemed to have occurred upon the earlier of: Customer signing a Pick Up Slip or expiration of seven days past the date of the Notice to Pick Up. Customer’s acceptance of the Items shall be irrevocable. If Customer fails to pick up the Items within seven days of the date of Notice to Pick Up, a twenty-five dollar ($25.00) per week fee will be assessed and billed to Customer, in addition to any other rights and remedies Adore Bridal may have at law or hereunder. All accounts must be paid in full before Items may be removed from the store. If Customer is unable to pick up the Items, it is the Customer’s responsibility to notify Adore Bridal and provide the name of the person who is authorized to pick up the Items. Once Items are removed from the store, Customer bears all risk of loss as to such Items. 4. Alterations; Cleaning. Customer acknowledges that alterations to the Items will more than likely be required and there is no guarantee as to the fit of any Item. The cost of alterations and materials needed is not included in the sale price. A price quotation for alterations may be obtained by making a separate appointment with an Adore Bridal seamstress. Alterations are subject to Customer’s agreement to additional terms and conditions. Adore is not responsible for the fit of Items or alterations needed due to a change in the Customer’s measurements, whether or not attributable to weight loss or gain by Customer or the person on behalf of whom Customer is procuring the Items. Any measurements set forth on the invoice shall be conclusive evidence of the Customer’s measurements at the time of Customer’s order. Adore is not responsible for the cleaning of a sample sale gown. 5. WARRANTY DISCLAIMER. UNLESS OTHERWISE EXPRESSLY PROVIDED HEREIN, ALL ITEMS ARE SOLD AS-IS, AND ADORE BRIDAL HEREBY DISCLAIMS ANY REPRESENTATIONS OR WARRANTIES, EXPRESS OR IMPLIED, INCLUDING THE WARRANTY OF MERCHANTABILITY, FITNESS FOR A PARTICULAR PURPOSE OF THE ITEMS AND ANY OTHER REPRESENTATION OR WARRANTY. 6. LIMITATION OF LIABILITY. CUSTOMER ACKNOWLEDGES THAT ANY ITEMS ORDERED ARE OF THE TYPE, DESIGN, COLOR, SIZE, AND MANUFACTURER SELECTED SOLELY BY CUSTOMER. CUSTOMER ACKNOWLEDGES THAT ADORE BRIDAL IS NOT A MANUFACTURER OR REPRESENTATIVE THEREOF. ADORE BRIDAL SHALL NOT BE LIABLE FOR ANY POTENTIAL COLOR, STYLE, OR SIZE VARIATIONS IN THE ITEMS, DEFECT OR OTHER INADEQUACY, OR FOR SHIPPING DELAYS BY THE MANUFACTURER, UNLESS DIRECTLY CAUSED BY THE NEGLIGENT ACTS OR OMISSIONS OF ADORE BRIDAL. IN NO EVENT WILL ADORE BRIDAL BE LIABLE FOR ANY INDIRECT, INCIDENTAL, SPECIAL, PUNITIVE, CONSEQUENTIAL, EXEMPLARY, OR SIMILAR DAMAGES, INCLUDING, WITHOUT LIMITATION, LOST PROFITS, LOSS OF USE, PAIN AND SUFFERING OR MENTAL ANGUISH, RELATED TO OR ARISING OUT OF PURCHASES MADE HEREUNDER. IN NO EVENT WILL ADORE BRIDAL BE LIABLE FOR ANY DIRECT DAMAGES, RELATED TO OR ARISING OUT PURCHASES MADE HEREUNDER IN EXCESS OF THE PRICE PAID BY CUSTOMER FOR THE ITEM WHICH IS THE SUBJECT OF THE CLAIM. 7. Force Majeure. Any delay or failure in the performance by Adore Bridal shall be excused if and to the extent caused by the occurrence of a Force Majeure. Force Majeure shall mean a cause or event that is not reasonably caused by or under the control of Adore Bridal, including acts of God, fires, floods, explosions, riots, wars, hurricane, terrorism, vandalism, governmental acts, injunctions, labor strikes, and errors or omissions of a manufacturer or its distributor. 8. Governing Law; Enforcement. These Terms shall be governed by the laws of the State of Illinois, without regard to principles of conflicts of law. In the event of a dispute relating to Customer’s purchases, Adore Bridal may recover from Customer all expenses and attorney fees it incurs in enforcing these Terms, including costs of collecting any unpaid amounts due from Customer. All legal actions relating to Customer’s purchases shall be adjudicated in the circuit court for Tazewell County, Illinois. 9. Miscellaneous. The failure of either party to enforce any right granted hereunder or to take action against the other party in the event of any breach hereunder shall not be deemed a waiver by that party as to subsequent enforcement of rights or subsequent actions in the event of further breaches. Invalidation of any of the provisions contained herein, or the application of such invalidation thereof to any person, by legislation, judgment or court orders shall in no way affect any of the other provisions hereof or the application thereof to any other person, and the same shall remain in full force and effect, unless enforcement as so modified would be unreasonable or grossly inequitable under all the circumstances or would frustrate the purposes here.